It doesn’t get more structured and solid than this double Cap union. 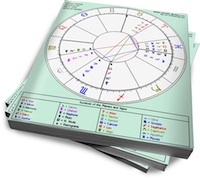 Sun in Capricorn’s external goals will match Moon in Capricorn’s need for order and independence. Each will understand the other’s drive for success on an internal and external level. Sun in Capricorn has a plan. It probably involves a step-by-step progression towards public status and success. His relationship will be part of this plan, and he’ll tackle it with the same determination that he directs towards his career goals. His partner should understand that his business-like approach to personal matters does not mean he loves her any less. If Sun in Capricorn has committed himself to someone, he means it, right down to his bones. His way of showing love involves honoring his promises and working with his lover to build a successful partnership. He may not be big on swoony romance, but what he offers is as real as it gets. Moon in Capricorn needs domestic control. She nurtures her partner by ensuring that things are running smoothly at home, and then going off and doing her own thing. At her core, Moon in Capricorn needs solitude. She’s mastered the art of commitment, but she’s not interested in slurpy, emotional displays. A lover who is not dependent on constant reassurance would be best for her, because she’s uncomfortable with neediness. However, this doesn’t mean that she has no emotions; she simply keeps them firmly in check. A partner who can do the same will earn her respect, while coaxing out her earthy, sexual side in their private moments. These two will immediately understand each other. Sun in Capricorn will love having his structured approach validated by Moon in Cap, and she’ll feel completely at home with his reserved yet ambitious energy. When Sun in Capricorn spends hours at the office, Moon in Capricorn won’t bat an eye (she’ll expect no less from him). When Moon in Capricorn withdraws to focus on her private projects, her Sun partner will completely understand (he’ll expect no less from her). Their love will be an intensely private matter where they unlock their (surprisingly) deep desires for each other, and no one else. hey, what about this…? does it work?